Go to a VA regional office and have a VA employee assist you. To find the VA regional office nearest you, use the Veterans Affairs National Facilities Locator or call VA toll free at 1-800-827-1000. We also encourage you to become familiar with evidence requirements so you have a complete understanding of not only VA's responsibility, but yours as well. You can apply online through eBenefits. You can also upload all supporting evidence you may have and make your claim a Fully Developed Claim. 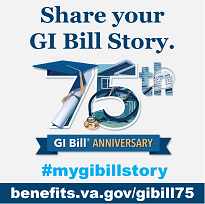 VA encourages individuals who are applying for disability compensation to work with an accredited representative or agent to assist them in completing Fully Developed Claim for submission through eBenefits. Being accredited means organizations and individuals must have VA permission to represent Veterans before the Department in their claims for VA benefits. The purpose of this requirement is to ensure that Veterans have qualified and competent representation. These individuals receive specialized training in VA benefits law and procedure. You may search for an accredited representative in eBenefits on the Manage Your Representative for VA Claims page. You may also apply by visiting a VA Regional Office where trained staff can assist you. You can find your regional office on our Facility Locator page. If you have records that support your claim, you should bring them with you. VA will help you obtain records by requesting them from the person, company, or agency that has them, but if submit them yourself you can save processing time and obtain a quicker decision. The Department of Veterans Affairs has implemented centralized mail processing (CMP) for compensation claims. Veterans should send correspondence pertaining to compensation claims to the locations listed on the centralized mailing addresses web page. If you have records that support your claim, you should send them with your claim. If you want us to request records for you, you must tell us the name and address of the person, company or agency that has these records, the approximate time frame covered by them, and the condition for which you were treated. If you received treatment from a non-VA health care provider you must complete VA Form 21-4142, Authorization and Consent to Release Information to the Department of Veterans Affairs (VA). We will use this form to request non-VA health records. If you are a member of the armed forces serving on either active duty or full-time National Guard duty, VA encourages you to apply through its pre-discharge program before leaving service. The Fully Developed Claims (FDC) program is an optional new initiative that offers Servicemembers, Veterans, and survivors faster decisions from VA on benefit claims. Servicemembers, Veterans, and survivors simply submit all required records and documentation at the time they make their claim and certify that they have no further evidence. VA can then review and process the claim more quickly. To learn more about Fully Developed Claims and how to apply, view the Fully Developed Claims page. VA will provide a medical examination for you, or get a medical opinion, if determined it is necessary to make a claims decision. Learn more about VA's responsibilities for obtaining evidence to support your disability compensation claim on the Evidence page. The required forms to apply for VA disability compensation benefits are listed below. You can download and mail the completed form to your nearest VA regional office, complete and submit online using eBenefits, or call VA at 1-800-827-1000 to have a claim form mailed to you. Dependents and surviving parents are encouraged to work with an accredited representative or agent to assist them in completing their claims. Claims for Dependency and Indemnity Compensation made by surviving spouses or children require VA Form 21P-534EZ, Application for DIC, Death Pension, and/or Accrued Benefits or VA Form 21-534a, Application for Dependency and Indemnity Compensation by a Surviving Spouse or Child, for in-service deaths. For in-service deaths, a Military Casualty Officer should assist you. Surviving parents can apply using VA Form 21P-534EZ, Application for DIC, Death Pension, and/or Accrued Benefits. Additional forms for other VA benefits programs are available for download on the VA benefits forms page.